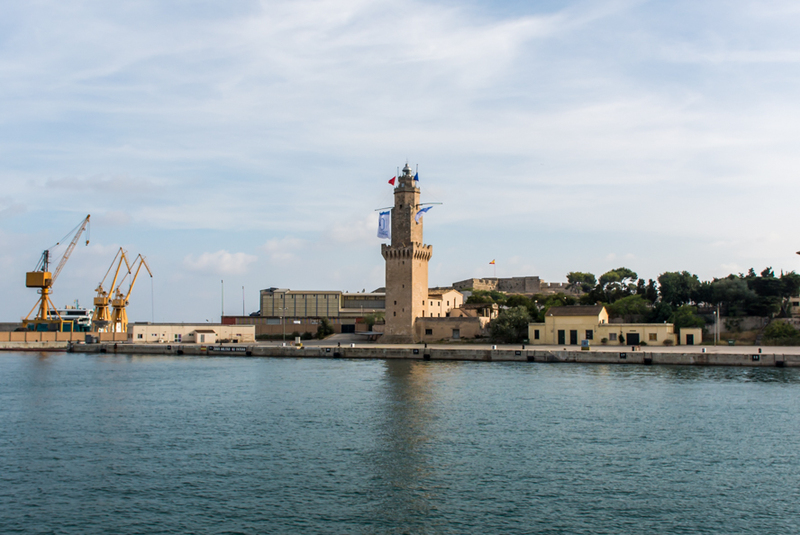 Next Saturday and Sunday, September 13th and 14th, at the occasion of the Diada de Mallorca the lighthouse at Portopí in Palma de Mallorca will celebrate two days of Open Doors. Access will be from the Dique del Oeste. Visiting hours will be from 10h30 to 14h00 and from 17h00 to 20h00 on Saturday and from 10h30 to 14h00 on Sunday. There will be guided visits to the Museu del Faro de Portopí at 11h00, 13h00 and 18h30. The photo was taken in Palma de Mallorca, Baleares, Spain. The date: September 6th, 2014.